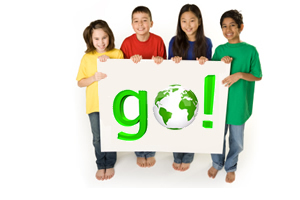 Go Green, Go Exercise is a program that teaches children how to protect their environment as well as how to protect their bodies through exercise, good nutrition, adequate sleep and proper hydration. Not only is recycling great for the environment, it is also great for our bodies. 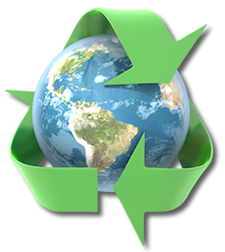 Recycling waste helps to safeguard the environment by reducing pollutants and preserving wildlife. When humans lead a healthy lifestyle through exercise and proper diet, the body can recycle minerals and vitamins as well as proteins, which are the fundamental building blocks that enable cell growth and development. This program helps to celebrate the month of April, which has been declared National Earth Month. What a great way to also celebrate Earth Day, which falls on April 22nd. The truth is, this program can take place at any time during the year because it is important to keep our planet and bodies healthy 365 days a year. Take advantage of all the valuable worksheets found in the lessons section of this page and browse the facts section for ideas on how to organize this program. Q. 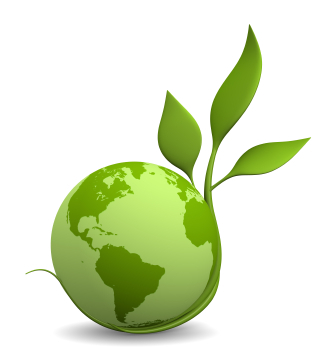 How do I organize a Go Green, Go Exercise event? A. 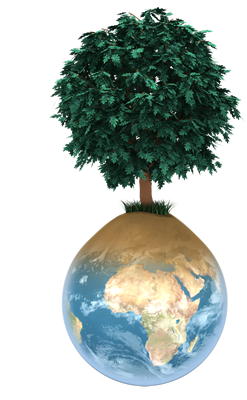 Pick one week during April (which is National Earth Month) that your children can participate in the event. 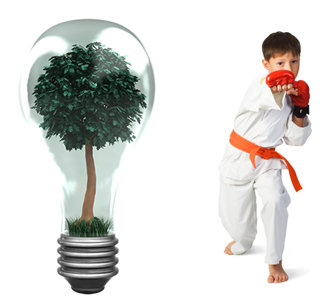 During this week, educate children on the importance of recycling and exercise (use some of the worksheets and discussions found in the lessons section of this page). Each day during this week, pick a 15 minute time slot to exercise with the children. To participate in the 15 minute exercise routine, the children must provide 5 tickets. Tickets are simply recycled products. For example, 2 plastic bottles. 1 aluminum can, and 2 newspapers would constitute 5 total tickets. At the end of the week, arrange pickup for all the recycled goods that were used as tickets to exercise. Of course, you can change the amount of tickets needed to participate each day, depending on space you may have for all the recycled goods collected. Q. Do we have to do the Go Green, Go Exercise in April? A. 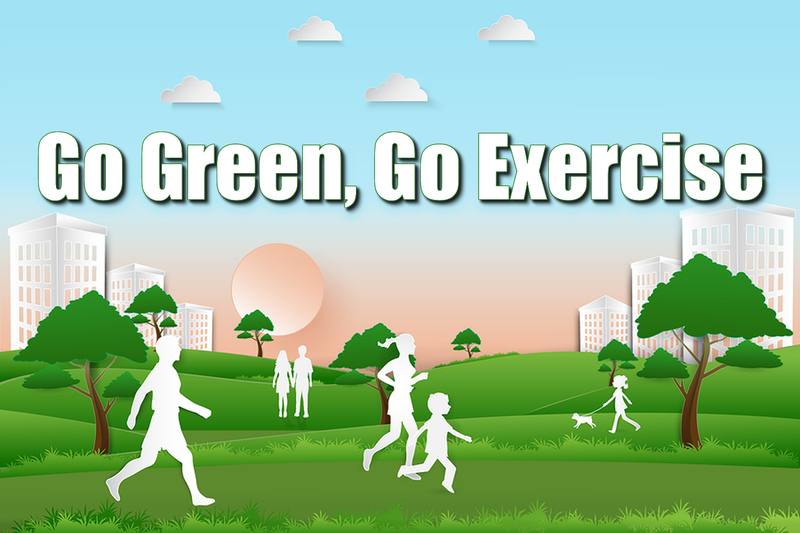 You can organize the Go Green, Go Exercise event any time throughout the year. If you want to make it symbolic, you can choose the month of April, which is National Earth Month. 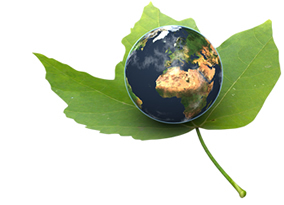 Many schools choose to participate in this event around Earth Day, which is April 22nd. Q. What type of exercises should we do? A. During the Go Green, Go Exercise program, the children can exercise, walk, jog, bike, dance, do aerobics, or a combination or all the above. 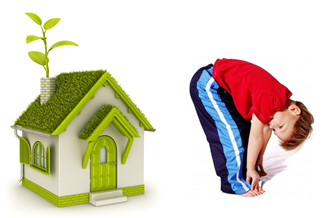 Each school / home organizes its own participation for the 15 minutes the program runs. There is no specific routine to follow, so feel free to be as creative as you would like. Q. Can we do the Go Green, Go Exercise program a couple times a year? A. Yes, there is no set rule - participate as often as you please. Q. Can we do the Go Green, Go Exercise program for longer or shorter than one week? A. Yes, you can do it for one day, or one month. The whole point is to teach the children about the similarities between recycling and exercise, which is better described on the lessons link to the left. Q. Do we need to sign up for this event? A. No, it is not necessary, but it would be great for you to use the contact form on this page to let us know you participated. According to the American Heart Association, about two in three American adults and one in three American children are overweight or obese – and this number continues to grow. According to TimeToRecycle.org, recycling one aluminum can saves enough energy to run a TV for three hours -- or the equivalent of a half a gallon of gasoline. They also report that If every American recycled just one-tenth of their newspapers, we would save about 25,000,000 trees a year. The Go Green, Go Exercise program was the brainchild of Len Saunders, who has been distinguished as a leader in the field of children's health and fitness for decades. He has won awards at the local, state, and national levels for all his efforts to reduce childhood obesity. He has been a guest speaker at universities, as well as state and national conventions. In the late 1980's, Len served as a consultant to The President's Council On Fitness, Sports and Nutrition. Most recently, he became an American Heart Association expert spokesperson on the issue of childhood obesity and childhood fitness. To learn more about Len's work, visit his website at lensaunders.com.